There is an innate dance within our bodies that is always happening ~ from our first breath to our last. This is the powerful movement of our own life force, and it's just waiting to be heard. All we need to do is be present enough to listen. 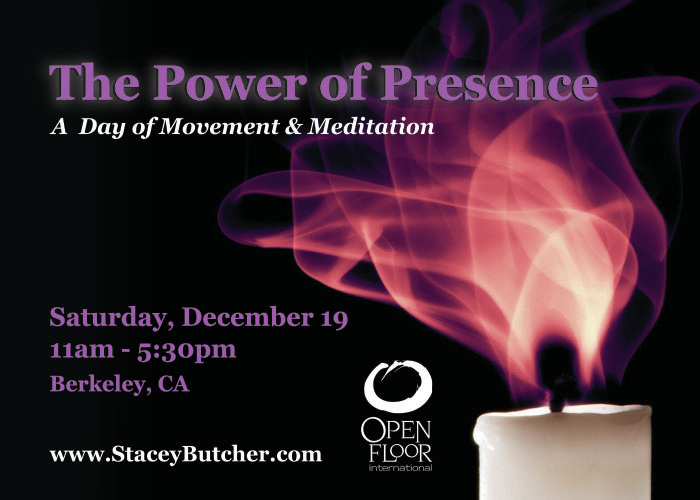 Join us for this guided journey through the Open Floor Movement Practice and sitting meditation, two powerful gateways to self-discovery and transformation. Practicing together in this way is potent medicine, especially so close to the Winter Solstice. This daylong is open to all genders ages 18 and up. 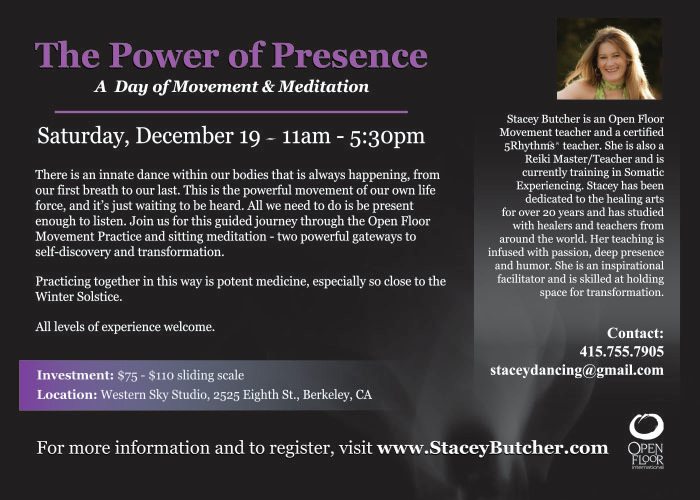 This workshop counts as 6 hours of prerequisite or elective hours for the Open Floor Teacher Training. Once a year, Stacey offers a daylong on a sliding scale to make it more accessible to all. The regular cost of a daylong with Stacey is $95. Those who pay on the high end of the scale help cover the costs of those who need to pay less. Before registering, please take a few moments to sit in silence and feel into what amount feels right for you to pay for this daylong ~ not too much and not too little ~ just the right amount for you. and please CLICK HERE to download the PDF of the info you'll need for the day. Financial Help: There are a limited number of work trade and partial scholarship options available. If you are in need of financial assistance, please click here to fill out a financial assistance form. Scholarships need to be arranged before the event.